The police in Lagos have arrested a 30-year-old teacher, Charles Munroe, for allegedly defiling a Senior Secondary School one pupil he was giving extramural education. Although Munroe admitted to having s-x with the 13-year-old girl, he claimed it was consensual and that the victim seduced him. City Round learnt that the girl’s mother had employed Munroe sometime in August 2018 to be teaching her daughter in their residence at Ajangbadi area of the state. Munroe was said to have gone to the girl’s school on January 16, 2019 and asked her to follow him to his house on the pretence that he wanted to show her something. On getting to the house, the teacher reportedly had s-x with her forcefully and threatened to kill her if she disclosed what happened to her parents. It Was gathered that about one month later, on February 19, Munroe repeated the act after he allegedly lured the girl out of the class on the pretext that he wanted to give her a textbook. It was learnt that the girl’s mother observed that she was nervous, prompting the woman to prod her into telling the truth. She was said to have opened up to her mother after much pestering. The case was consequently reported at the Okokomaiko Police Division and the teacher was arrested. The girl told the police that she followed Munroe home based on the trust she had in him, adding that she never thought he could molest her. She said, “Mr. Munroe teaches my mum’s friend’s children. Through my mum’s friend, she started giving me private lessons in August 2018. In January this year, he visited me in the school and asked me if I had a boyfriend. I told him I did not have. He came the second time and told me he wanted to be my boyfriend. I told him I was not interested. “On January 16, he came to my school again and asked me to follow him home to see something. Being my lesson teacher, I agreed to follow him. I never thought he could think of having s-x with me. I wanted to shout, but he covered my mouth. When he was done, he threatened to kill me if I told my parents about it. I was scared and didn’t tell them. But Munroe, who hails from Abia State, claimed that the s-x was consensual. The teacher stated that he and the girl had become close over time during which she allegedly made amorous advances to him. Munroe stated, “I am a graduate and I have been teaching for some years now. I was engaged to give private lessons to the girl at home. We both became close in the process and she shared her burdens with me. In all honesty, she told me she was 15 years old. On February 19, she visited me as she normally did. She had wanted me to be with her even when I resisted. 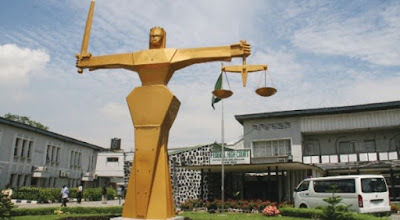 A police prosecutor, Inspector Ben Emuerhi, subsequently brought Munroe before an Ikeja Magistrates’ Court sitting in Ogba on one count of defilement. The presiding magistrate, Mrs O. Sule-Hamzat, did not take the teacher’s plea. She granted a remand application filed by the police, asking that the defendant be kept in the Kirikiri prison. The magistrate directed that a copy of the case file be sent to the Directorate of the Public Prosecutions for legal advice and adjourned the matter till May 2, 2019.